Rosamund Hill Estate is a premier wedding accommodation situated on a majestic 40 acres overlooking Mount Broke and one of the most picturesque valleys in the Hunter Valley. We are also in close proximity to some of the major Hunter Valley attractions including gardens, wineries, restaurants and much more. Plan, cater, host your guests and dance the night away at the Rosamund Hill Estate when you plan your Broke Wedding Accommodation. Our accommodation properties are well-equipped with all the amenities to give you a luxurious stay. Spend your occasion lavishly at our wedding destinations in Broke, Sydney. The Estate sits in the shadows of the broken back ranges and can cater for up to 18 people and is an ideal location if looking for a family getaway or a large group for a local wedding. The Estate boasts two houses, Rosa House and Rosamund House, which can be booked together or individually. • Rosa House: A 4/5 Bedroom house accommodation with two bathrooms and two lounge rooms. Enjoy a BBQ on the large deck whilst admiring the amazing Hunter Valley views. Beautiful natural bush and paddocks are at your doorstep. Perfect if you are after relaxing accommodation in the Hunter Valley Wine Region. • Rosamund House: 4 Bedroom house accommodation with two bathrooms and a lounge room with a log fire for those colder nights. Picturesque views of Mount Broke await you on the huge entertaining deck with BBQ. Located on 40 acres perfect for those looking for a bushwalk or somewhere to stay after a nearby Wedding. 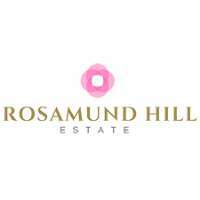 If you are looking for high-quality and comfortable accommodations in Broke, Sydney, don't hesitate to contact or visit Rosamund Hill Estate for any enquiries!